Ride the Rockies 2010 begins today. 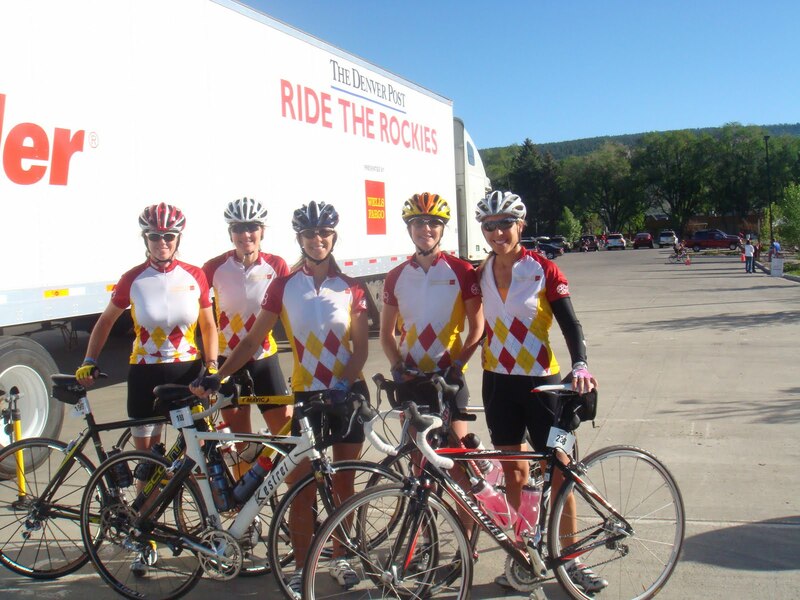 In 2008 I joined a group of 7 women for the yearly week long bike ride event through the Rocky Mountains in Colorado. For years I had heard terrible stories about this ride, about the poor skill level of riders, about the nightmare of camping in a high school gymnasium. The man who used to run the event was known to be excellent, but had moved on. This group proclaimed it would be wonderful, that we should gather a group of women and do it together. I have still not recovered from the experience. Understand that I am not a lover of huge crowds, I do not like being limited to following the same group every minute of the day. 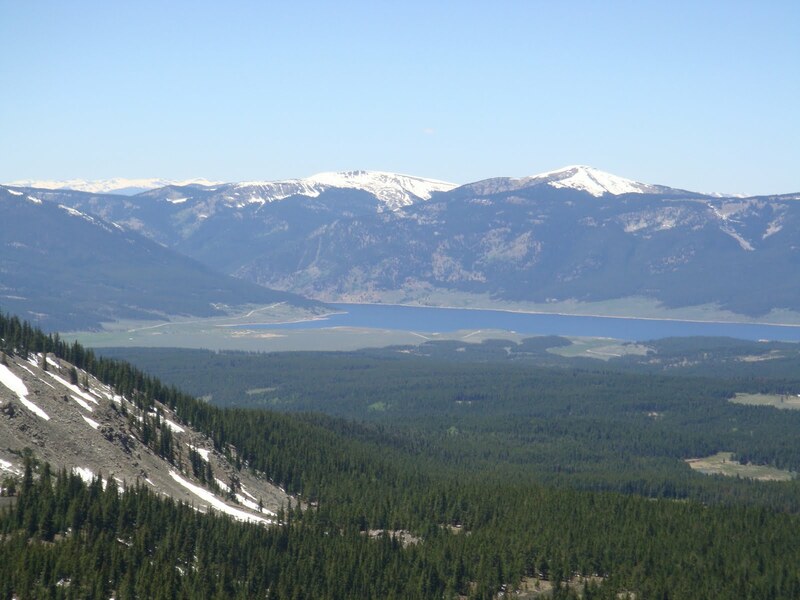 Also I ride a bike for the adventure, the physical effort and the time alone in beautiful surroundings. To me, riding a bike is closer to a meditative state, than a mandatory state of talking for 4 hours, and staying within inches of each other. I have always thought conversation is best shared over a meal, a walk, or a glass of wine. This much time with 2,000 cyclists and a week of porta potties is just not my cup of tea. It also resembles a rolling Fitness Singles (even if you are not) Caravan. I try to convince myself that I am having fun, that I should enjoy these events, but I don't. 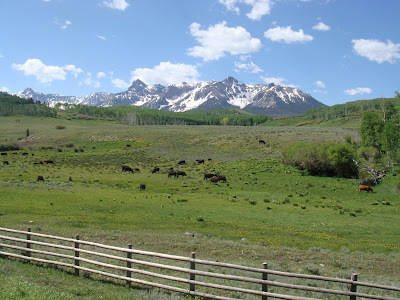 I would much rather spend the time mountain bike camping in Moab, Utah, for a week with friends, or backpacking a beautiful trail with a few friends. Or taking the time and traveling to Europe to ride. 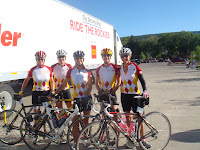 The enjoyable part of Ride the Rockies was meeting Anne from Minnesota, and another group of men that work the event every year. I was fortunate to meet Brian, Steve, Bill, Ron, Tim, and Fitz (and Randy), who work bike demo for the event. They help make the event more enjoyable for other cyclists. For them it is a tradition among friends. They do this every year for their vacation, and they have a great time. I on the other hand had a once-is-enough time. 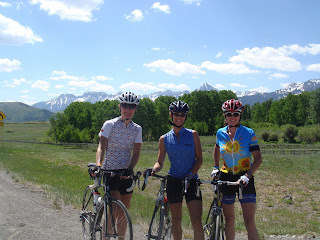 I was recruited to sign up by my good friend Christy, who is super easy to be around and who wanted other women to join who could ride and were independent. She found me and "Anne the Great" as I called her. Visiting from Minnesota, Anne made every moment fun because she truly enjoyed all that Colorado had to offer, long rides and amazing scenery. 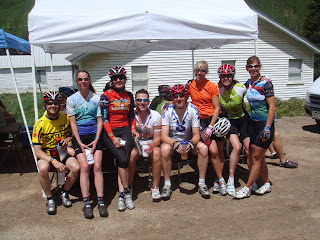 I have also ridden Bicycle Tour of Colorado once, Ragbrai once, MS 150 Tour once, and the Etape du Tour once. 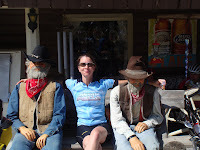 I have done lots of great 1-day event rides and centuries. 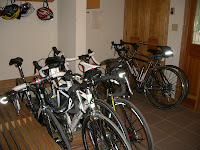 I have gone on cycling tours in France and Italy. I have had so many wonderful experiences on a bike that far surpass Ride the Rockies, but I have to say, some people love this event. It books up every year. Like all things in life the people make the event. 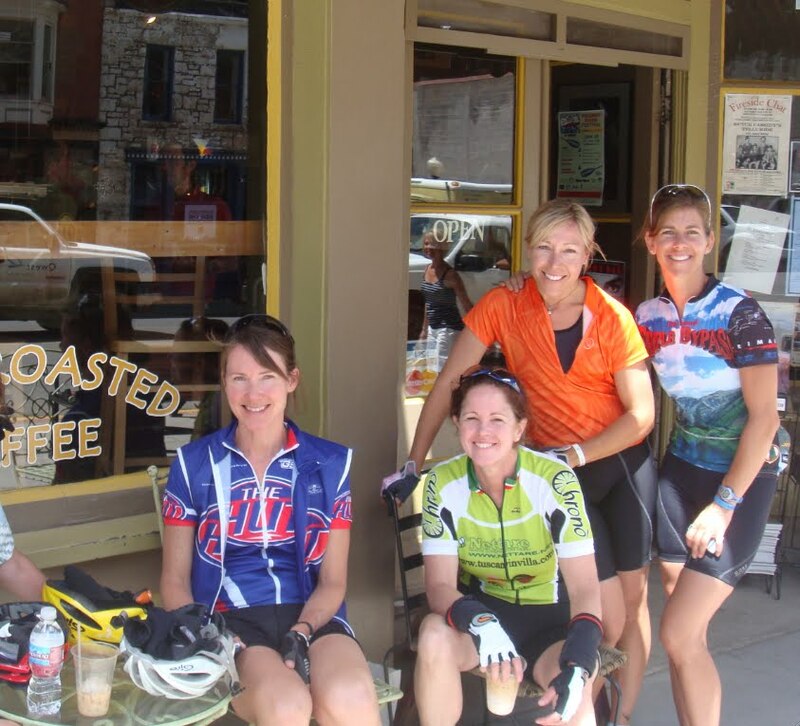 The good thing about the ride is staying in great towns, like Telluride, and enjoying a morning cappuccino before the ride. 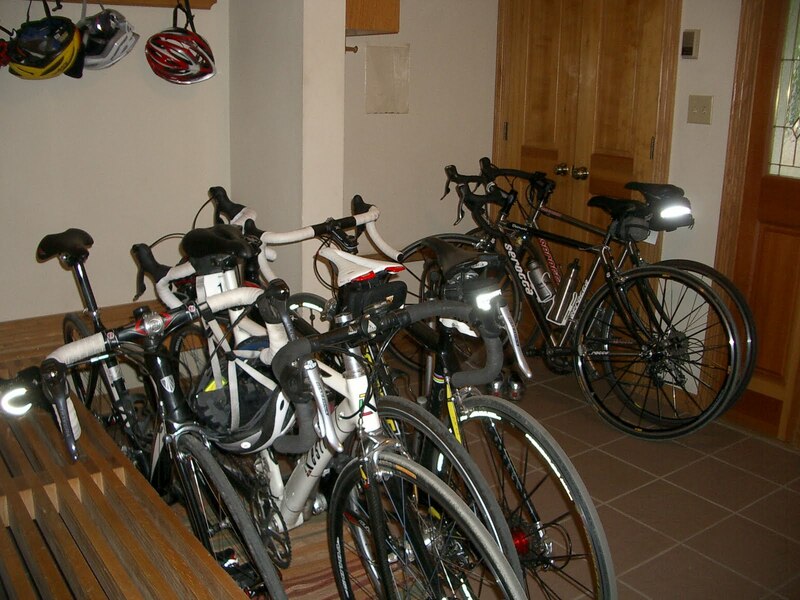 We were able to arrange accommodations in Condos, or Hotels along the route. Lucky us. Colorado has beautiful scenery, this is outside of Telluride, Colorado. We enjoyed a nice peaceful rest day in Crested Butte, Colorado. Where we could wonder on our own. 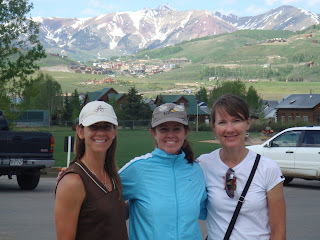 Here I am with April and Anne the Great. 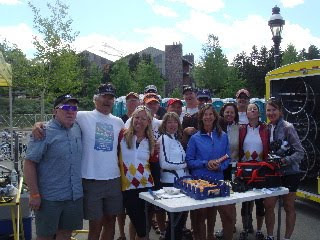 At the end of the Event in Breckenridge, CO (where I used to live), we thanked The Guys who manage to do this every year and help out others (and us!). I am lucky to often see Brian and Steve out for rides near Denver, they are both excellent riders. 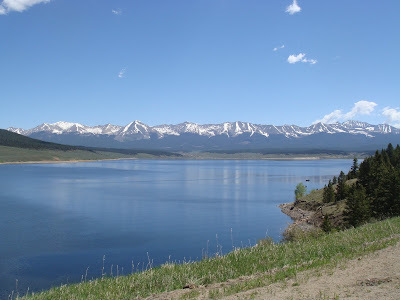 The event is happening this week June 13-19, 2010 in Colorado. It is too late to sign up for this year, but start looking for more information in early 2011 if you are interested.